Emma Frenette is a native of Vancouver, Canada. 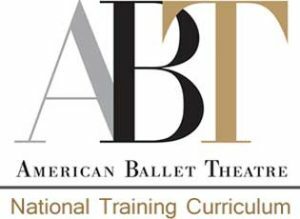 Ms. Frenette is a fully certified teacher of the American Ballet Theatre National Training Curriculum. 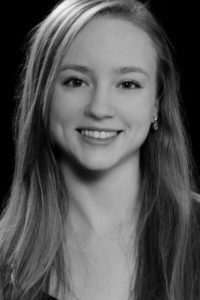 Emma attended numerous summer intensives such as the American Ballet Theatre in New York, The San Francisco Ballet, The Boston Ballet, twice attended The Bolshoi Ballet on scholarship, and twice attended the Royal Ballet School in London’s Summer course. Ms. Frenette has performed numerous roles from various ballets such as the Pas de Trois and the Fairy of the Golden Vine from Sleeping Beauty, a Swan and the Pas de Trois from Swan Lake, The Cupid variation and the Pas de Trois from Paquita Grand Pas Classique, Flower Girl in Don Quixote, Medora and an Odalisque in Le Corsaire, a Willis in Giselle, a Sylph in Les Sylphides, The Dew Drop, Snow, Spanish lead, Arabian lead, and Chinese lead in The Nutcracker, as well as roles in Romeo and Juliet, Cinderella, Coppelia, The Twelve Dancing Princesses, Beauty and the Beast, Snow White, and Carmen. Emma performed with the Carolina Ballet in The Nutcracker and Giselle. Emma also performed with the Orlando Ballet. There she performed several works such as Romeo and Juliet, Beauty and the Beast, Carmen, Snow White, Swan Lake, Coppelia, and The Nutcracker. Emma has been a faculty member with IBA since the fall of 2014.